Thanks to smart technology, cringing when you hear the doorbell and hoping someone else in your house will answer it are things of the past. Now, you can answer your doorbell from anywhere you are with your smartphone. While the Skybell HD is not without competition, it’s impressive array of features, and high-quality components deliver industry-leading performance and value, and we rate the product at 9.75 out of 10. When it comes to key features, there’s plenty that separates the Skybell HD from its competitors. While other popular options like the Ring, Doorbird D101 and August Doorbell Cam Pro can compete with the Skybell HD on some levels, there are areas where each of these products falls short when compared to the Skybell. Let’s take a look at some of the most important features of this powerful smart doorbell. One of the key features of the Skybell is it’s 1080p full HD recording quality with 5x zoom capability. Some competing smart doorbells offer 1080p recording quality, but many fall short, with only 720p quality. The Skybell can also take pictures at 1920x1080, which is a feature that’s suspiciously absent from all other smart doorbells, except for the August, which takes photos at 1280x720. The Skybell also features color night vision, which provides surprisingly vibrant colors and sharp video, which is also full HD, just like the daytime video. With its 1080p full HD video, and 1920x1080 photo resolution, the Skybell is in a league of its own with regards to image and video quality. Another major consideration when it comes to smart doorbells is the field of vision. 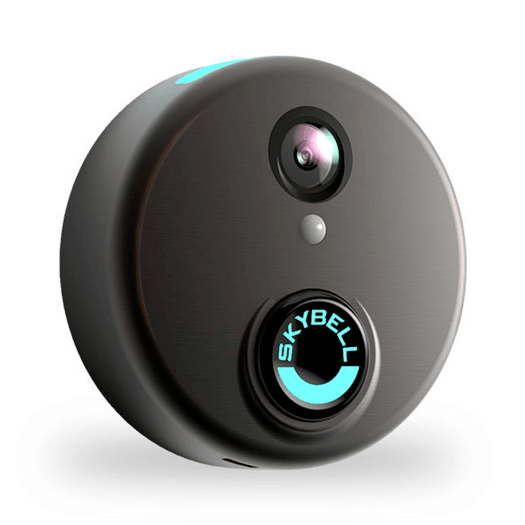 With the Skybell, you’ll be able to see a full 180 degrees in the frame. This feature is easy to overlook, but it can prove exceptionally important for you and your family. Imagine there’s an event at your front door you need to document. Say, a potential intruder was snooping around your porch, or you’ve noticed packages that have gone missing from your home. 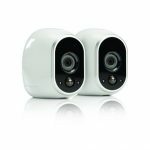 The wide field of view of the Skybell HD can mean the difference between you identifying the culprit, or them being out of view. The app for the Skybell is easy to use and intuitive and allows you to make use of the full set of features of this smart doorbell, while also allowing you to make changes to your preferences and settings. Within the app, you can watch on-demand video that the doorbell is recording in real time, as well as video of the last recorded motion, integration and ring events. You can also name your doorbell and adjust settings such as interior/exterior ring, image, and video quality, LED brightness and speaker volume. 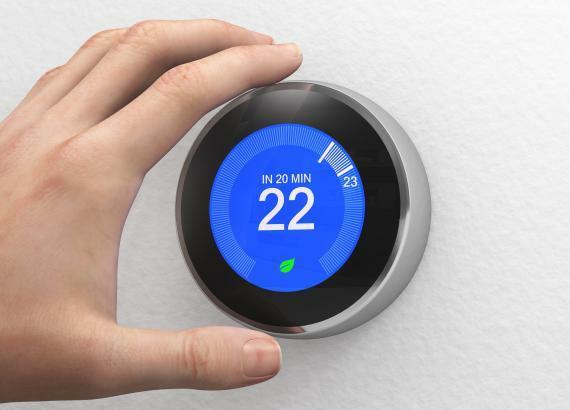 You’ll also use the app to configure third-party integrations with other smart home products such as Amazon Alexa, IFTTT and more. 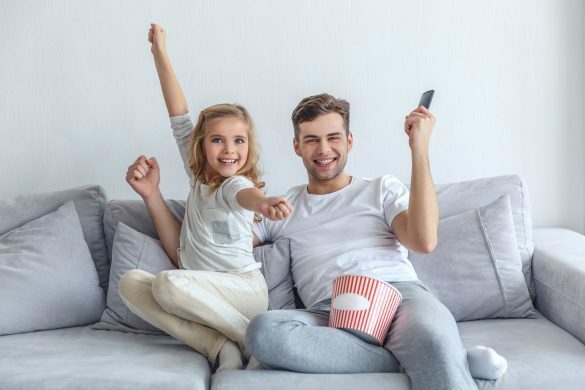 Perhaps the most impressive feature of all when it comes to the Skybell HD is its video storage. All smart doorbells feature cloud video storage. Most companies store your videos for between 30 and 60 days, and in exchange for the convenience, you pay around $30-50 per year in storage fees. If you ask other smart doorbell users if they’ve ever downloaded a video from the cloud, they’re likely to tell you that yes, they have, and they downloaded the video as soon as they saw it in case they needed to reference it later. Sure, 30 or 60 days of storage is nice, but it’s a bit excessive for most people. On the other hand, Skybell only stores video for seven days before it’s deleted. Unlike the competition, that storage is free, which eliminates the yearly bill for cloud storage entirely. Unfortunately, there’s no option to save videos to the cloud for a longer period before deletion. But, for most users, Skybell’s free short-term video storage is music to their ears. 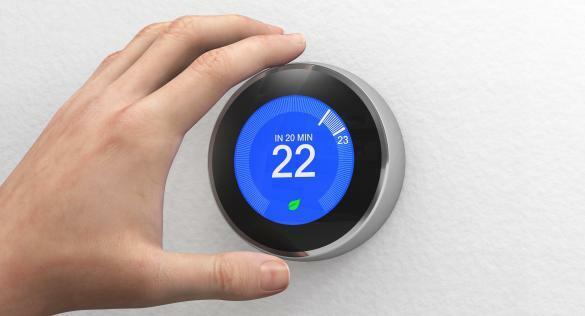 A smart home device is only as good as it’s integrations. If your new device can’t play well with your existing ones, it will turn out to be more of a headache than a convenience in the long run. Fortunately, the Skybell HD can integrate with virtually all of your existing smart devices, in addition to some you probably don’t have yet. Most importantly, the Skybell plays well with Amazon Alexa, Samsung SmartThings, Nest, and IFTTT. 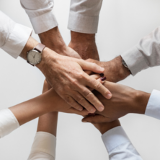 But beyond these popular integrations, Skybell works with several other partners to bring you an experience that’s fully integrated with your other devices. The Skybell team is also constantly working to bring new integrations to the platform. So even if you don’t see what you’re looking for quite yet, it may be a good idea to check back now and again to see if the integration you need has made it to Skybell. Installing a Skybell HD is a fairly straightforward process, but there’s some legwork you’ll want to do before unpacking your new smart doorbell to ensure that the process is as quick and easy as possible. First, you’ll need to identify whether you have a mechanical or digital doorbell chime. A mechanical chime features two metal rods that get struck by a mallet to produce the famous “ding-dong” sound. A digital doorbell is just a speaker that replicates the sound of a doorbell. If you have a digital doorbell, you’ll need to purchase the digital doorbell adapter from Skybell to make it compatible. Next, you’ll want to make sure your WIFI is up to speed. The Skybell requires a constant internet connection and a consistent upload speed of 1.5mbps to function properly. If your router doesn’t meet these requirements, you’ll want to either move it closer to your front door to increase the signal strength or invest in a WIFI signal extender. Skybell recommends this one from TP-Link. Finally, you’ll want to ensure that your router settings are properly configured for the Skybell. Skybell works with B/G/N routers on the 2.4ghz wireless standard. If you have a dual-band router, you’ll want to follow the instructions for your Skybell about configuring your router. Once you get all of the legwork taken care of, installing your Skybell is exceptionally simple. The first thing you’ll want to do is disconnect power to your doorbell, so you can swap out your existing doorbell for the Skybell without getting zapped. Next, disconnect your existing doorbell, and attach those wires to the appropriate terminals on the Skybell’s baseplate. Then, attach the Skybell to the baseplate and secure it to your house. Finally, you can restore power to the doorbell to finalize the installation process. 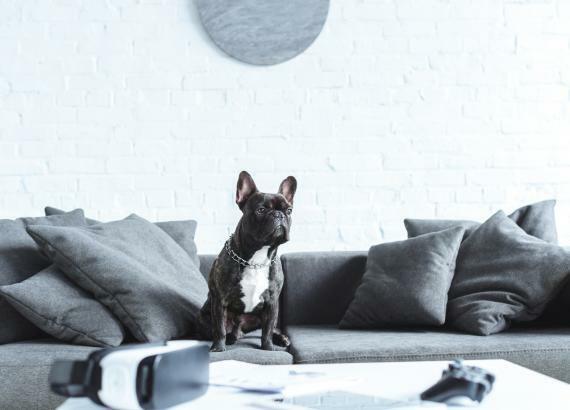 Once it’s up and running, you’ll need to follow the instructions laid out in your owner’s manual for syncing the Skybell to your home network. You’ll be able to use the Skybell app to connect the doorbell to your other smart home devices. While the Skybell HD is certainly an industry leader when it comes to smart doorbells, there is one major caveat to its use: it’s practically the size of a hockey puck, and for some households, there’s no practical way to install the Skybell HD without some serious retrofitting. Fortunately, Skybell quickly realized this and remedied the situation with the introduction of the Skybell Trim Plus. Unlike the circular Skybell HD, the Skybell Trim Plus has a shape more reminiscent of a traditional doorbell, and it can easily be mounted on a door frame, just like a regular doorbell. The first is the size, the Trim Plus is significantly trimmer and more “doorbell like” than the HD. The second difference is video frame rate. The Skybell HD shoots video at 30 frames per second, which is the same quality you’d get from your smartphone, or any camera that costs less than several thousand dollars. The Trim Plus, however, only shoots video at 15 frames per second, which results in video that lags and is less crisp than what you’d receive if it shot at 30 frames per second. That said, unless you’re planning on using your Skybell to record a cinematic masterpiece, the Trim Plus should still provide ample video quality for your needs. Ultimately, the decision to opt for the Trim Plus over the Skybell HD usually comes down to ease of installation, and most people who are able to easily install the Skybell HD at their front door typically choose that model over the Trim Plus and its lower frame rate. Besides the Skybell, you’ll find several other competitors on the market such as the August Doorbell Cam Pro, the Ring Pro, and the Doorbird D101. Perhaps the best way to understand how impressive the Skybell HD is is to compare it to its competition. The August Doorbell Cam Pro has a similar look to the Skybell and provides similar functionality for the same price. However, when you dig into the specs of this offering from August, the two begin to separate from one another. The Doorbell Cam Pro records video at 720p and can take 1280x720 photos as well. Meanwhile, the Skybell records at 1080p and takes photos at 1920x1080. The Skybell also offers a full 180-degree frame of vision, whereas the Doorbell Cam Pro falls far shorter with its 120-degree frame of vision. Both models offer free video storage; however, the Doorbell Cam Pro only saves video for 24 hours, compared to 7 days for the Skybell. If you’d like additional storage from the Doorbell Cam Pro, you’ll need to pay for it. While both models integrate with Amazon Alexa, the integrations stop there for the August bell. The only other devices that integrate with the August doorbell are August’s line of smart locks. Ring owns the distinction of being the original Smart doorbell company, and since 2012 they have been producing several quality smart doorbell options. However, even their most advanced models, like the Ring 2 and Ring Pro fall short in comparison to the Skybell HD. The Ring Pro features several improvements, such as 1080p video recording and integrations with Amazon Alexa and IFTTT. But, it still can’t compete with the integrations of the Skybell HD, and it also doesn’t allow the user to capture photos or see a full 180-degree field of vision. At 160 degrees, it offers a much wider field of vision than the August, but it’s still less than the Skybell. For a time, the Ring smart doorbell was a perfect alternative for people that wanted a quality smart doorbell but were unable to go with the Skybell because it’s large, circular shape didn’t lend itself to installation in their home. But, with the introduction of the Trim Plus, there’s now a Skybell alternative that outperforms the Ring doorbells, while maintaining a similar footprint compared to a traditional doorbell. A relative newcomer to the smart doorbell scene, the Doorbird D101 offers the basic functionality you need, but it seriously lacks in many important areas. Since the D101 doesn’t have the specs to compete with Ring or August, it certainly is in over its head when it comes to the Skybell. Major shortfalls of this product include no video recording capability, only 720p live video, and a massive footprint that’s about the size of a stick of butter. If you’re looking at different smart doorbell options, it may be best to steer clear of the D101.